Check out what we have been learning about this term! Last term was kicked off with our new overarching theme on Space! This galactic subject became the children’s influential stimulus and driving force behind each of our Literacy units. We firstly chose to base our opening piece of writing around the film clip, It’s not our planet, it’s our home. It is here where the children produced incredibly detailed character descriptions of an astronaut in Space. Once complete, and not wanting our fictional stories to end, we decided to continue our descriptions with a stronger emphasis on environment setting for reader effect. In our Numeracy lessons last term, it was all about the fractions. Ordering them, comparing them, adding them, subtracting them, multiplying them, dividing them and simplifying them. You name it with fractions, we did it! This tricky little concept was soon picked up by the children, who by the end of the term were fraction gurus! No term would be complete without having to learn about our new overarching theme, and this term was no different, bring on Space. 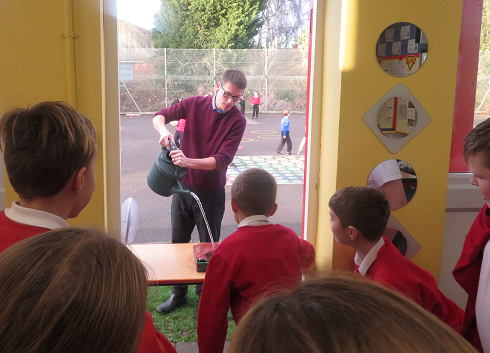 The children’s key target was to learn all about Earth, the Sun and the Moon. It is here where they were able to describe the movement of the Earth in relation to the Sun in our solar system, and the movement of the Moon in relation to the Earth. We went on to describe the Sun, Earth and Moon as approximately spherical bodies, before discovering the Earth’s rotation to explain day and night. It's amazing what our planet can do! Finally, for our History topic, the children looked at the history of Space travel and how technology has advanced since the early invention of the telescope. The children discovered which countries were the driving force behind technological Space advancements which led to the first man stepping foot on the moon. This subject pushed every child’s curiosity button, becoming an astronaut is much better than playing video games anyway! Take a look at what Herons will be learning about this term! Seeing as last term was an incredible hit studying historical events of WWII, we decided to continue our literacy writing around this. We started by studying Aiden Gibbons’, The Piano which tugged at every single heart string going. The children produced one of their best literacy writing pieces to date, with a pupil from the class sharing their work to commemorate the 100-year anniversary of WWI. This was followed up with a film stimulus named ‘Beyond the Lines’ and Siegfried Sassoon’s famous poem, ‘How to Die’. The children have taken a considerable amount of knowledge away from this topic, using beautifully crafted figurative writing techniques in their own writing. In our numeracy lessons, children have built on their knowledge of ‘number’ from the previous term by learning about short and long multiplication/division. They have since taken this understanding into their statistics lessons, and further into their measurement lessons, where they have been learning all about perimeter, area and volume. Design and technology will certainly take some beating! 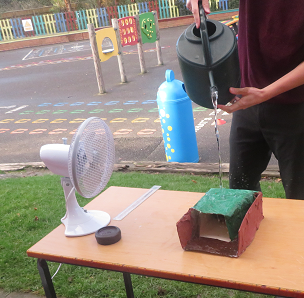 Children were tasked to construct an Anderson shelter out of everyday household materials. This was then supported with the use of paper mache before actually being put through a rigorous testing system. Please ask your child what this testing system was as writing it in words does not do it any justice at all. As you can see from the pictures, we certainly had a lot of fun! 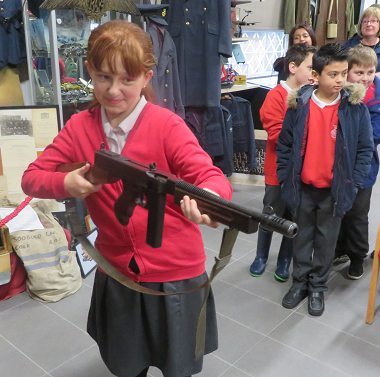 The term was pleasantly finished off with a trip to Freiston to visit the ever-so popular, We’ll Meet Again Museum. 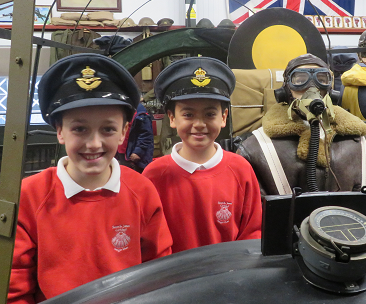 Each child enjoyed this incredible opportunity by fully immersing themselves in everything the museum had to offer. From WWII, children were able to hold and wear equipment, taste popular sweets, injure a unique Blitz experience, and many more. This is something they will not be forgetting in a hurry! This term has been heavily influenced by the historical events of WWII. The children have learnt a lot of information including: what life would have been like as an evacuee, how rationing was introduced and sustained, how important women’s roles were, as well as what caused WWII to both start and finish. From the very first lesson, each child was gripped by this extraordinary time, showing a genuine interest in each fact that was discovered. Science has been entirely about the world of electricity. As you can see from the picture, the children have had a fantastic time making circuits and experimenting with different investigations. 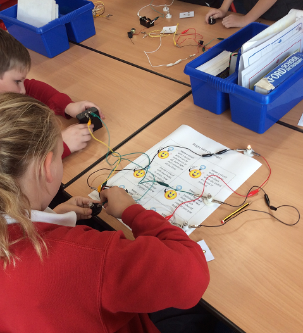 Using a cell (battery), the children have been leading tests with electrical conductors and insulators. They have been using wires to transfer power to a range of lightbulbs, motors and buzzers. Plenty of hands-on practical work! The children have been working incredibly hard in both numeracy and literacy lessons. They have learnt many news skills and techniques they’ll take with them into next term. In our literacy lessons, there has been a strong focus on sentence structure and how this can be varied to produce creative writing. The stimulus for this writing has been heavily influenced by the book ‘The Lion and the Unicorn’ which follows the story of an evacuee - a boy named Lenny – being taken in by Lady De Vass. In our numeracy lessons, place value has been our overarching theme. Before children get stuck into the world of fractions, co-ordinates and shape, they need to build a concrete understanding on the value of a digit in a given number; something which they’ve done beautifully. We have had a considerable amount of fun learning our times tables on a Friday. It’s amazing how a little ‘song n dance’ during lesson time can have a significant impact on our children’s recall of times tables. 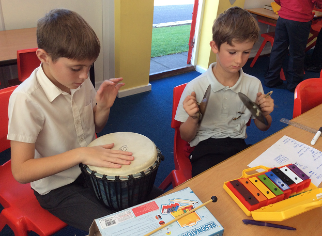 During music lessons this term, we have been creating our very own music which represents the world we live in. 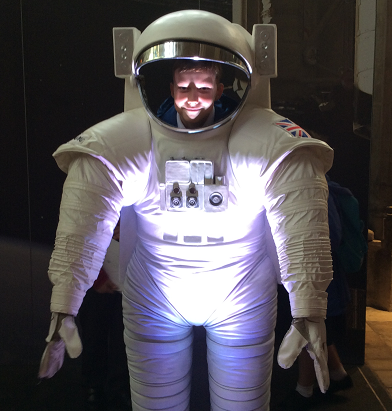 We were extremely lucky to visit Tim Peake’s spacecraft at Peterborough Cathedral. This once-in-a-lifetime opportunity was an amazing chance to learn all sorts of incredible information about this amazing man’s expedition. 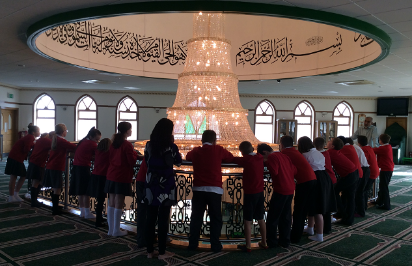 Whilst in Peterborough, we were able to take full advantage of our time there by visiting an Islamic Mosque. It is here where the children learnt about Islamic culture and their different way of life. Take a look at what Herons will be covering this term.